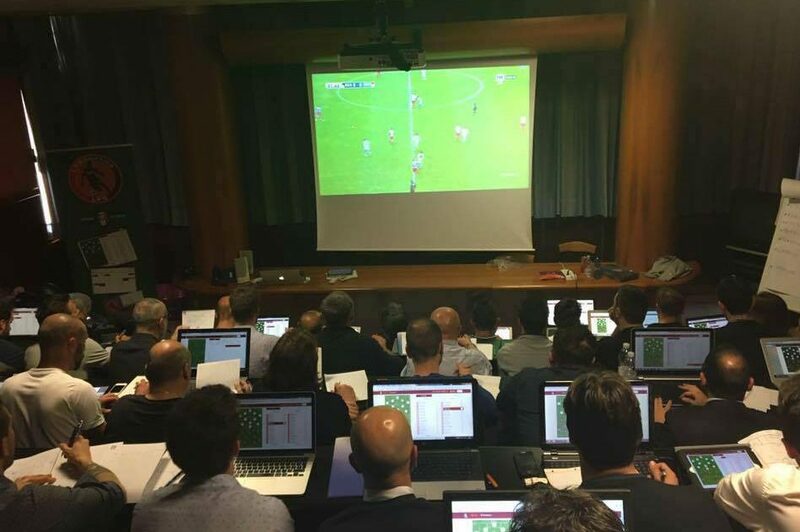 Would you like to learn to use the right tools for scouting and match analysis and be a pro? Understand how to study effectively the behavior of a football team or a single player? Get information about how to resume training and process the specific job? Specialize as tactical using tools with the course for scouting and match analysis! The LFS project is mainly based on the actual demonstration and has decided to train professionals with the use of professional tools, managing to transmit a real method of work. LFScouting LTD Company based in London specialising in scouting, creator, industry professional, has developed a tool to optimize and improve the work of scouting. The software is used by technical sector of Coverciano to form the various professional figures and be able to give a working method. SportAnalisi is a Venetian company that was founded in 2013 from the idea of using technology to improve sports performance of each athlete using video analysis. Soul of this project is a young and dynamic working group United by a passion for sport and the desire to offer a new and more attentive vision and game analysis. The intent is to provide a professional and innovative technological service to coaches, players and observers at clubs at every level by promoting the use of technology services for Scouting and Match Analysis. Football, is evolving with ever more complex figures, advanced tools and expertise. The use of computer software have become indispensable to the daily life of teamwork but especially for the video studio of a team, a game or a single player. Who owns these skills can be part of the technical staff of a football club and have a direct relationship with the team, with coach and technicians, or may be an external collaborator, in support of the technical staff. Starting from the basics on scouting and match analysis, providing guidance on appropriate technologies to be used, giving to each participant the best tools to make them independent and operate in a professional manner, they will try to give practical guidance on how to articulate their work. We want to make it entirely practical, proving that with the right tools, you can achieve great results while saving time and money. In recent years, match analysis, indispensable tool for professionals, has become an important element in amateur football. Thanks to various local match analysis courses, coaches amateurs and application engineers were able to delve into the subject, understanding the importance of video analysis in football, both professionals and amateurs. Between these two worlds but there are substantial differences on how to apply as a business tool and budget allocated by the companies that make them distinct technologies that can be used. 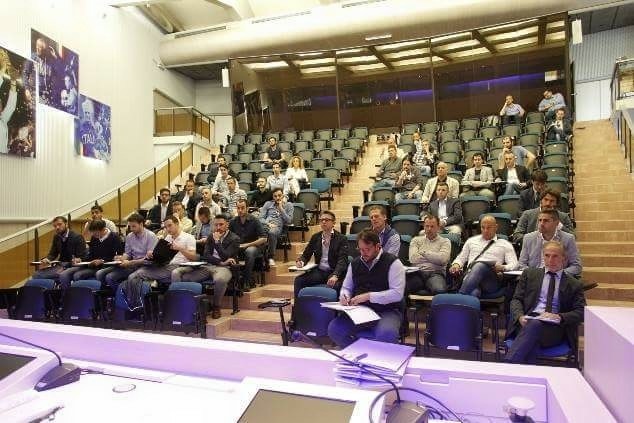 During the course, we will figure out what it is used for Scouting and Match Analysis among amateurs, and how developed and what are the best solutions to achieve optimal results. One-year license LFScouting software, software designed by professionals, used by technical sector of Coverciano during trainings for observers, sports directors and coaches. To optimize the work of scouting, tactical analysis and training organization. 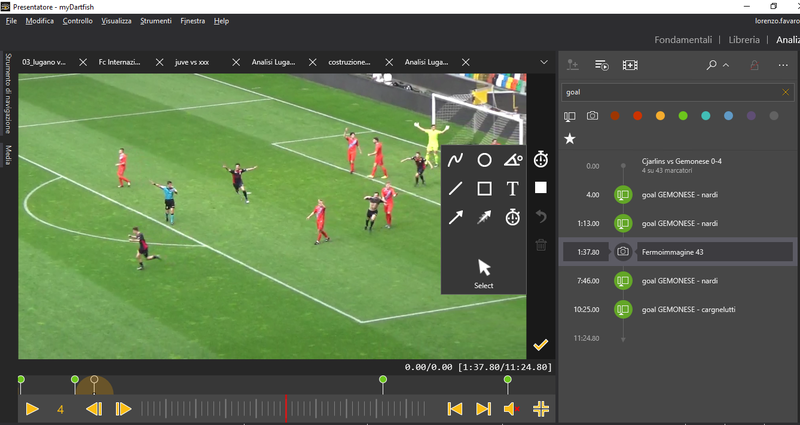 2 months of license software Instat, Russian company world leader in video sharing and analysis of soccer matches and other sports. License a month + 1 video analysis software included 50 gb 360S Dartfish cloud. Dartfish is a Swiss company leader in the world for their match analysis software used by more than 120,000 sports professionals. 1 month license +1, app to tag the matches in real time and be able to have a precise and detailed report of the actions available at half-time and after the game. 1 month license + 1, app to display the analysis and can share them with the staff and players. The creation of the directory and the names of members will be communicated to AIAC and all Italian clubs. The number of participants will be limited, you will be provided a lunch buffet. Participants are required using the PC or Ipad during the days of the courses.